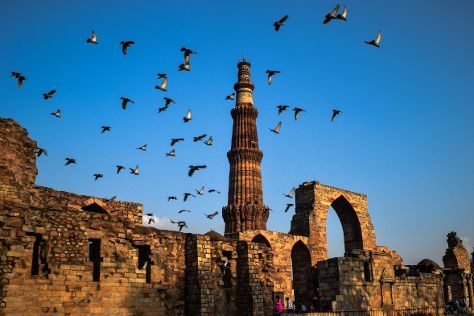 Start off your visit on the 19th (Fri): enjoy breathtaking views from Qutub Minar. On the 20th (Sat), you'll have a packed day of sightseeing: contemplate the long history of India Gate, then admire the striking features of Humayun's Tomb, and then take in nature's colorful creations at Akshardham. To see other places to visit and other tourist information, read New Delhi travel itinerary planner. Chennai to New Delhi is an approximately 5-hour flight. You can also do a combination of train and flight; or drive. Expect a daytime high around 41°C in July, and nighttime lows around 31°C. Cap off your sightseeing on the 20th (Sat) early enough to travel to Dharamsala. Start off your visit on the 21st (Sun): take your sightseeing to a higher altitude at Triund Hill and then appreciate the views at Kangra Valley. To see where to stay, more things to do, and tourist information, use the Dharamsala trip website . You can fly from New Delhi to Dharamsala in 3 hours. Other options are to drive; or take a bus. Wrap up your sightseeing on the 21st (Sun) early enough to drive to Amritsar. To see other places to visit, ratings, more things to do, and other tourist information, refer to the Amritsar trip builder app . Drive from Dharamsala to Amritsar in 3.5 hours. Alternatively, you can do a combination of taxi and train; or take a bus. Expect a daytime high around 41°C in July, and nighttime lows around 30°C. You will leave for Chandigarh on the 22nd (Mon). 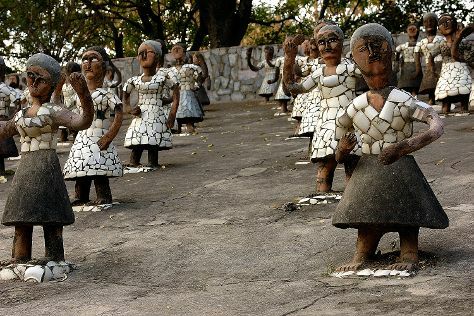 On the 23rd (Tue), walk around The Rock Garden of Chandigarh. 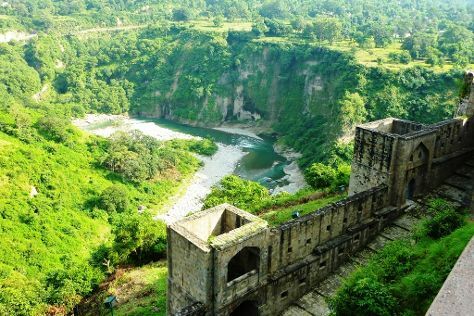 To find more things to do, maps, and other tourist information, read our Chandigarh trip itinerary maker site . Traveling by car from Amritsar to Chandigarh takes 3.5 hours. Alternatively, you can take a bus; or take a train. 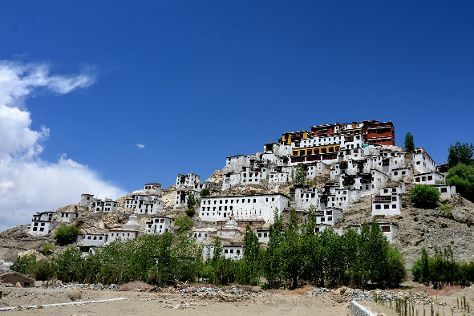 Wrap up your sightseeing by early afternoon on the 23rd (Tue) to allow time for travel to Leh. Kick off your visit on the 24th (Wed): see the interesting displays at Stok Palace Museum, take in the spiritual surroundings of Thiksey Monastery, then appreciate the history behind Shey Monastery, then contemplate in the serene atmosphere at Spituk Monastery, and finally see the interesting displays at Hall of Fame. On the 25th (Thu), you'll have a packed day of sightseeing: take in the spiritual surroundings of Phyang Monastery, don't miss a visit to Confluence of the Indus and Zanskar Rivers, take in the dramatic natural features at Magnetic Hill, then take in the spiritual surroundings of Gurdwara Pathar Sahib, and finally look for gifts at De Pashmina Emporium. To find ratings, photos, other places to visit, and more tourist information, read Leh trip itinerary maker website . Fly from Chandigarh to Leh in 1.5 hours. Alternatively, you can drive; or do a combination of train, taxi, and bus. Finish your sightseeing early on the 25th (Thu) so you can travel to Agra. Kick off your visit on the 26th (Fri): step into the grandiose world of Agra Fort, don't miss a visit to Jahangir Mahal, and then admire the striking features of Taj Mahal. For more things to do, traveler tips, where to stay, and other tourist information, go to the Agra visit planning tool . Do a combination of flight and train from Leh to Agra in 5 hours. Alternatively, you can drive; or do a combination of bus, taxi, and train. Expect a daytime high around 40°C in July, and nighttime lows around 31°C. Finish your sightseeing early on the 26th (Fri) to allow enough time to drive to Jaipur. On the 27th (Sat), see the sky in a new way at Jantar Mantar - Jaipur, then admire the striking features of Hawa Mahal - Palace of Wind, then step into the grandiose world of Amber Palace, and finally explore the historical opulence of Jal Mahal. To find other places to visit, reviews, ratings, and more tourist information, use the Jaipur trip planner . Traveling by car from Agra to Jaipur takes 3.5 hours. Alternatively, you can take a train; or take a bus. In July in Jaipur, expect temperatures between 40°C during the day and 30°C at night. Wrap up your sightseeing on the 27th (Sat) to allow time to travel back home.